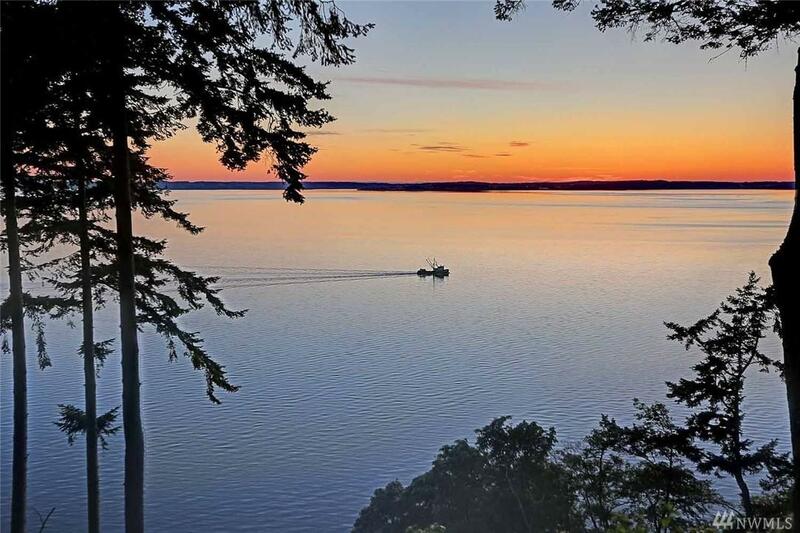 A collaboration of art & nature, this architectural masterpiece offers 120+ ft of waterfront on 2.3 acres & creates serenity by using its natural surroundings that capture expansive 160 degree West facing views of Saratoga Passage. 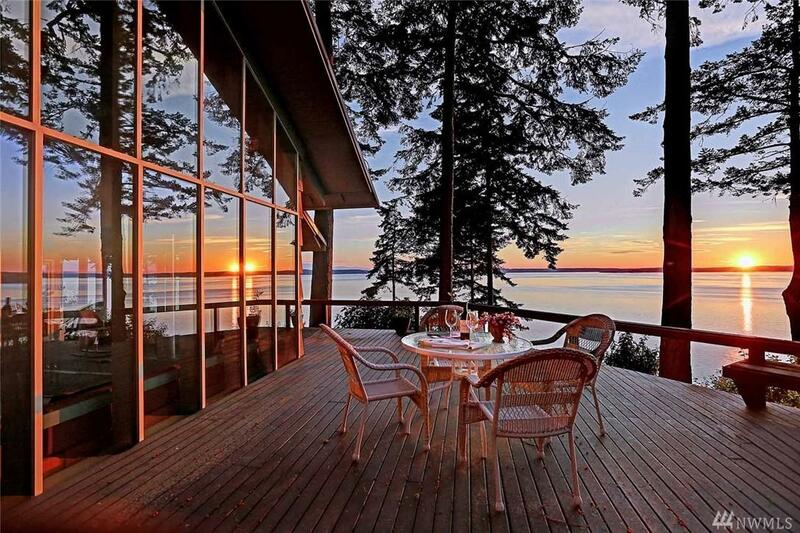 Internationally inspired & features walls of windows that frame magnificent sunsets. 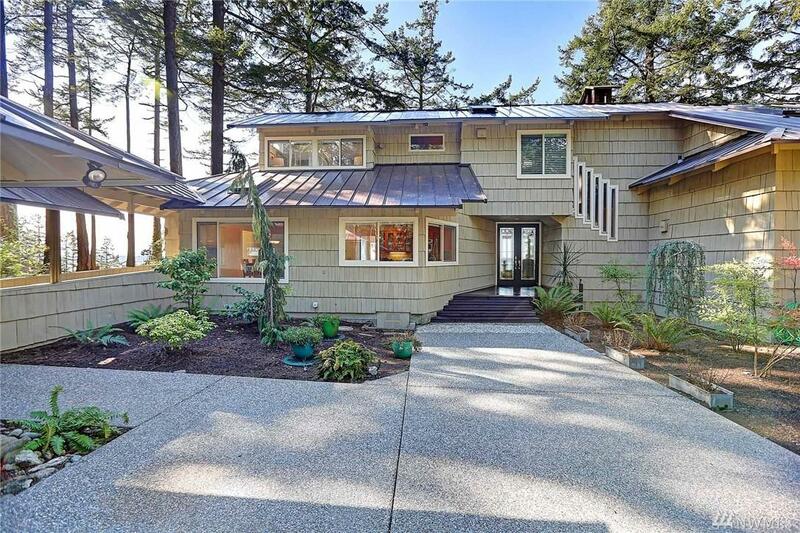 Incorporates natural elements of cedar, granite, beamed ceilings, & hardwoods. 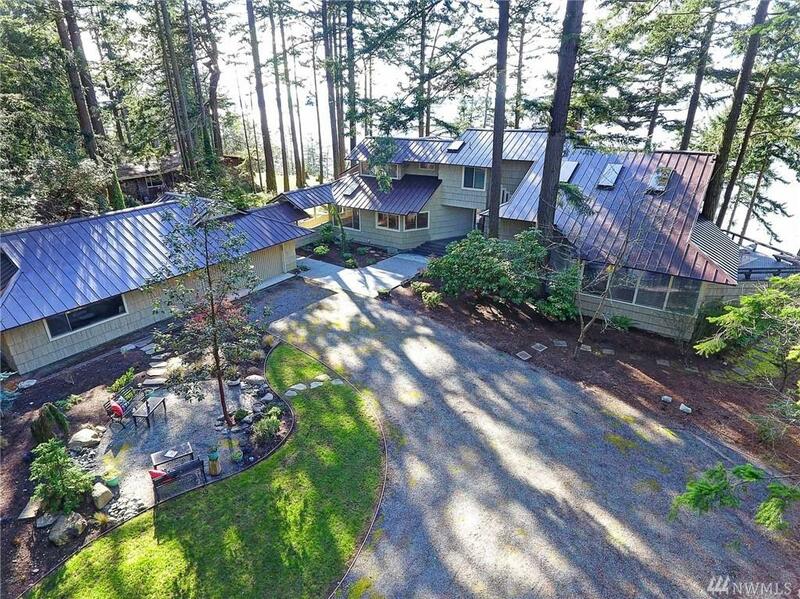 Entertain on expansive deck at waters-edge where the eagles soar w/ whales below. Over-sized 4 car/shop.